In Polhill’s (1994) treatment the following informal groups were recognised: the Myroxylon group (11 genera; 10 Neotropics, one Africa); Ormosia group (3 genera; Neotropics, Africa, Asia); Angylocalyx group (4 genera; Neotropics, Africa, Australia); Baphia group (6 genera; Africa to Asia); Dussia group (9 genera; Neotropics) and Sophora group (14 genera; Africa, Asia, Neotropics). 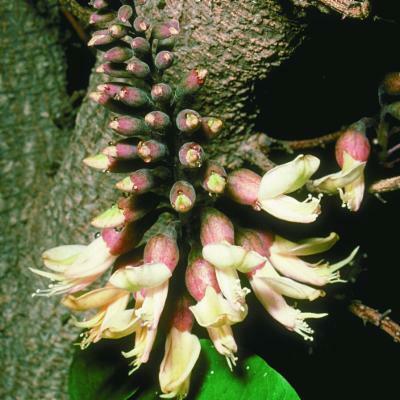 The only formal change made to the classification of Sophoreae since Polhill (1994) is the transfer of Bowringia and Baphiastrum to Leucomphalos (Breteler, 1994b). In this account we maintain Bowringia and Baphiastrum, not because we disagree with Breteler (1994b), but in the spirit of this volume, to encourage future workers to verify the monophyly of Leucomphalos sens. lat. with new data. We also do not follow Polhill’s (1994) suggestion that Riedeliella, Etaballia and Inocarpus belong in Sophoreae. It has been generally accepted (e.g., Polhill, 1981b) that these belong in Dalbergieae, which is confirmed by the recent study of Lavin et al. (2001a) that places them in the Dalbergioid clade. They are therefore treated as Dalbergieae in this volume (see page 307). Cladistic analyses of overall morphology (Chappill, 1995; Herendeen, 1995) and pollen data (Ferguson et al., 1994) showed Sophoreae to be non-monophyletic because Swartzieae genera were mixed in the same monophyletic groups as Sophoreae. These results have been corroborated by molecular studies. Doyle et al. (1996) showed Sophoreae to be heterogeneous for a large inversion in the chloroplast genome. This suggests that Sophoreae is non-monophyletic if it is assumed that the inversion arose only once. Doyle et al.’s (1997) DNA sequencing study of the chloroplast gene rbcL included 18 genera of Sophoreae. Cladistic analysis showed these to be scattered widely across the papilionoid tree. More recently, these results have been corroborated by another chloroplast locus, the trnL intron (Pennington et al., 2001). This study sampled more putatively basal genera of Papilionoideae (26 of 41 Sophoreae; 14 of 15 Swartzieae and all Dalbergieae and Dipterygeae). The trnL tree (summarised in Fig. 29) is also largely congruent with other molecular studies that include some taxa of basal Papilionoideae (e.g., Hu et al., 2000; Ireland et al, 2000; Lavin et al., 2001a; Kajita et al., 2001; Wojciechowski et al., 2004). It clearly shows genera of Sophoreae to be members of disparate papilionoid clades. Diverse datasets now indicate Sophoreae to be non-monophyletic as Polhill (1981b; 1994) predicted. If the trnL results are corroborated, it seems likely that Sophoreae will be dismembered with its genera scattered across several tribes. This would entail extensive taxonomic changes. Yakovlev (1972b; 1991) split Sophoreae into five and nine tribes respectively. These classifications have not been widely accepted, and although they are not congruent with the most recent molecular topologies, they will need to be considered in any formalisation of new tribal names. In any new scheme, Sophoreae sens. strict. 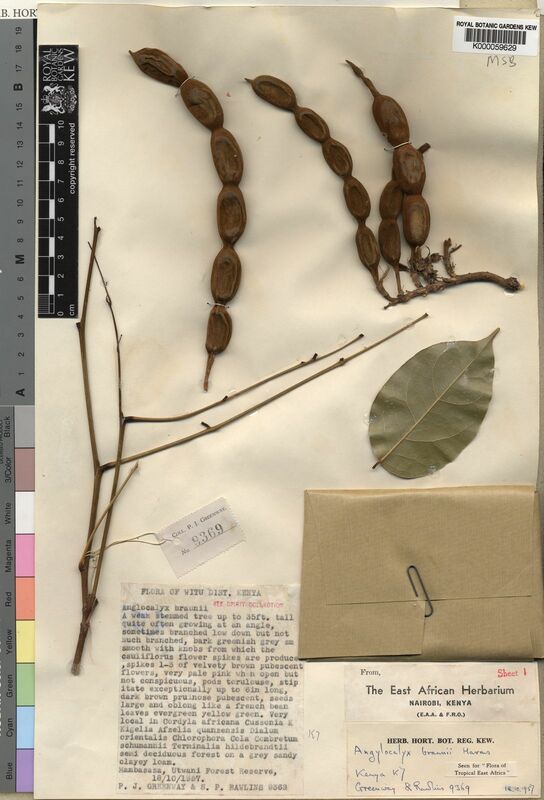 will comprise a group of genistoid clade genera from among Polhill’s (1994) Sophora group (Fig. 29), but published molecular phylogenetic studies have not yet sampled sufficient genera to suggest its delimitation. A new classification for Sophoreae requires sampling of the genera not included by Pennington et al. 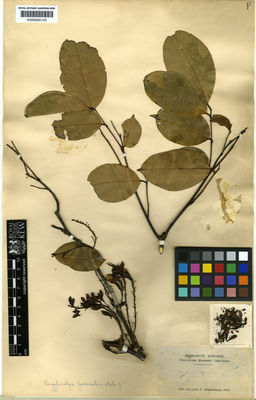 (2001; see Fig. 29) and other authors, in future molecular systematic studies. Some of the clades discovered by DNA sequence data (Fig. 29) are cryptic in that they are not marked by obvious macro-morphological features, and it is therefore perilous to attempt to determine the affinities of genera based upon macro-morphology alone. It may be that these clades are defined by anatomical or chemical characters. 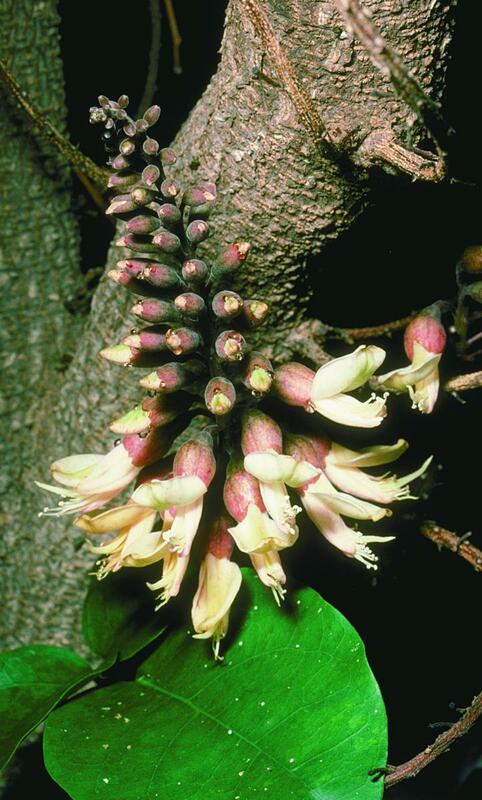 For example, quinolizidine alkaloid accumulation may be a synapomorphy for the Genistoid clade (Pennington et al., 2001; Kite & Pennington, 2003), and lack of these chemicals in Styphnolobium species supports the segregation of this genus from Sophora sens. strict. The presence of quinolizidine alkaloids in Calia, which is not placed amongst the genistoids, suggests that this genus is a strong candidate as sister group to the Genistoid clade, a relationship that might be resolved by more robust molecular phylogenies. Such phylogenies should incorporate information from nuclear genes (Lavin et al., 1998; Doyle & Doyle, 2000) which would be particularly useful to test hypotheses that are currently based solely upon evidence from chloroplast DNA. Careful integration of morphology, preferably as part of a simultaneous cladistic analysis, is also critical. Such morphological study may be best achieved by focusing on separate monophyletic groups because assessment of homology of morphological features across all Papilionoideae is difficult. The monophyletic groups discovered in the trnL analysis provide a framework for starting these future studies. 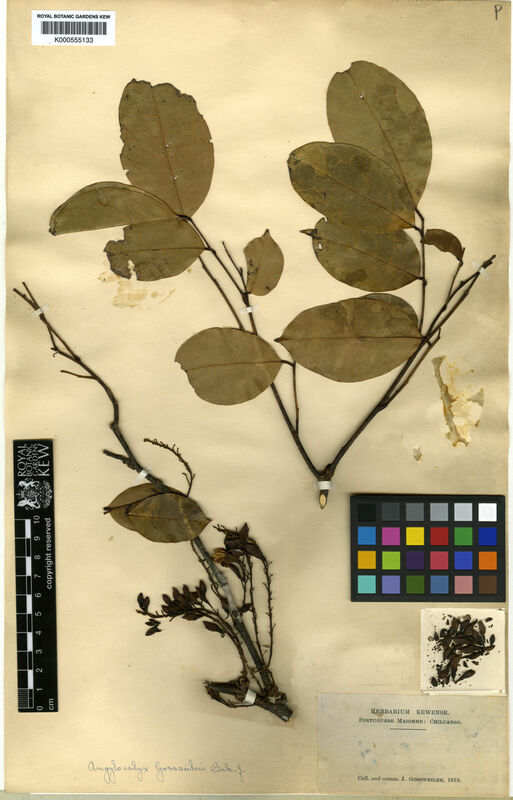 In all 45 genera and (393) – 396 – (398) species are treated here (including c. 76 basally branching, c. 262 genistoid and c. 58 baphioid species of Sophoreae; Fig. 29). Seed: testa adhering to fruit wall; embryo detached and lying free within, oblong-ellipsoid or shortly cylindrical, with a very short straight radicle near one end. in Engl. Bot. Jahrb. 23: 172 (1896).